Our New Comic Book Day got cloned! 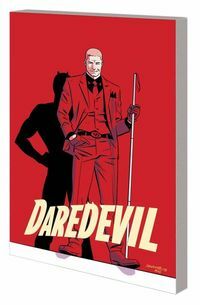 With a new series from Vertigo, and a super spy. 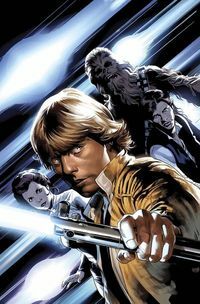 As always these are only a few comics to come out this week Check out our other blog articles so see our thoughts on other books. Be sure to comment or share our post on Facebook or Twitter if you like our articles! As the Clone Conspiracy event winds down, it’s clear that Spider-Man’s life will never be the same again. With the Jackal’s clones breaking down across the world, friend and foe alike are suffering from grief and despair. Clone Conspiracy Omega #1 does an excellent job at showing the pain that Peter feels. Especially with the promises he made that he couldn’t keep. 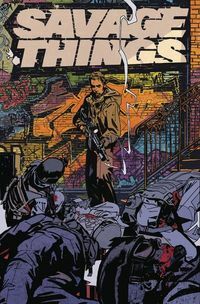 This brand new mini-series from writer Justin Jordan, inker Ibrahim Moustafa, and colorist Jordan Boyd; Savage Things is about a covert team trained to do nothing else but kill, and never be caught. So what could go wrong? Well, it looks like someone is trying to expose the truth. James Bond #1 from Dynamite Entertainment is an exciting new entry in the James Bond series. 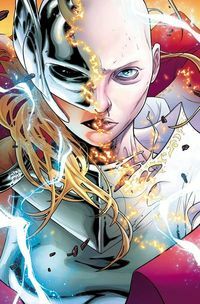 Writer Benjamin Percy, known for his work on Green Arrow and Teen Titans, is joined by artist Rapha Lobosco to create a story that thrusts Bond into the 21st century. In “Black Box Part 1”, Bond is attempting to stop a data breach that could put a cavalcade of secrets online. However, while Bond is hunting down the source of the breach, a mysterious assassin is also hunting him. 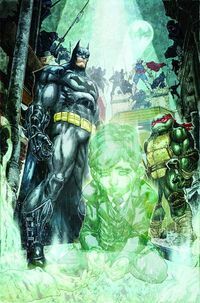 It’s Wednesday, and that means it’s New Comic Book Day! Ready for some reviews of a few of this week’s new releases? 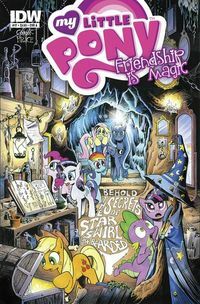 Check out past articles so see our thoughts on other books that have recently released. Be sure to comment or share our post on Facebook or Twitter if you like our articles! 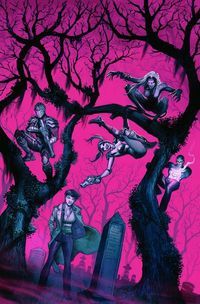 Set immediately after the events of the cult horror classic film, The Lost Boys #1 finds the Emerson Brothers attempting to find some semblance of normalcy while the Frog Brothers continue to hone their vampire hunting skills. Meanwhile, Grandpa Emerson maintains order in the Santa Carla Hunter’s Union. That is until a new gang of vampires hits the scene to cause some havoc. This time our cast of characters aren’t just involved by fate, they’re the target. Clones and Spider-Man. In the mid-’90s, these two were intertwined pretty heavily for better or worse. Now, history is repeating itself with Spider-Man: Clone Conspiracy #1 by Dan Slott and Jim Cheung. 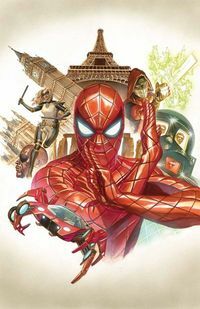 This is the big Spidey event of the year and Slott has been building toward it since this year’s Free Comic Book Day title from Marvel. Looking at the timeline, this story arc is going to run all the way through February of next year and it is starting out on the right foot. There’s a lot of set up in this issue but it works, although it does help if you’ve been reading Amazing Spider-Man lately but it’s not so dense that you can’t dig this book up fresh and figure out what’s going on. Slott definitely gets who Peter Parker is, and I think that’s the strongest element of his take on Spider-Man. 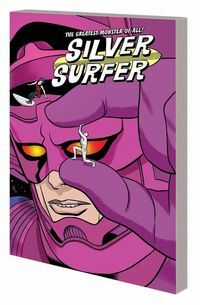 If you ever had a Nintendo Power magazine as a kid, you may remember a small part of this graphic novel. 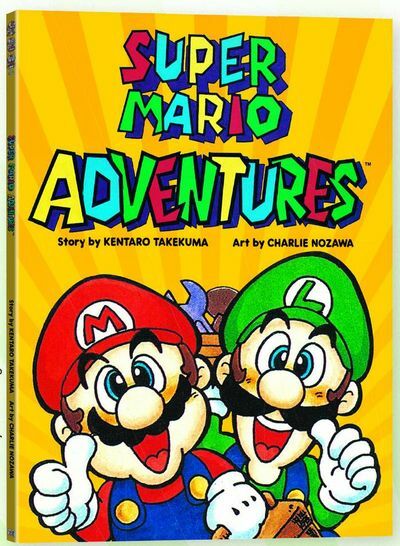 The Super Mario Adventures GN reprints the classic comics that appeared in Nintendo Power back in the day. It’s a funny tale of Mario and “Weege” trying to save the Mushroom Kingdom, again. It’s classic ’80s comical Manga with over exaggerated emotions and the inclusion of terrible rapping. What did you think of these books? 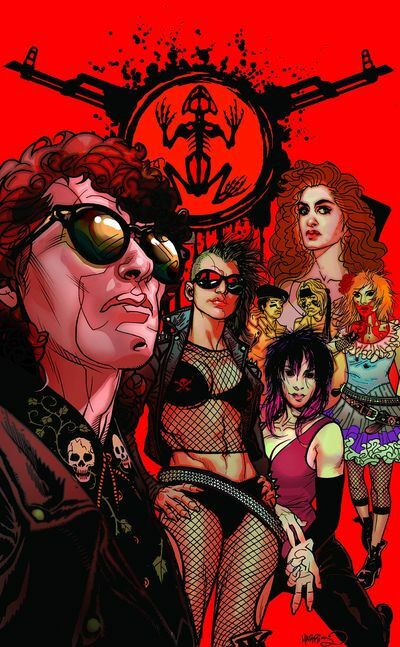 Were you a fan of the Lost Boys movie? 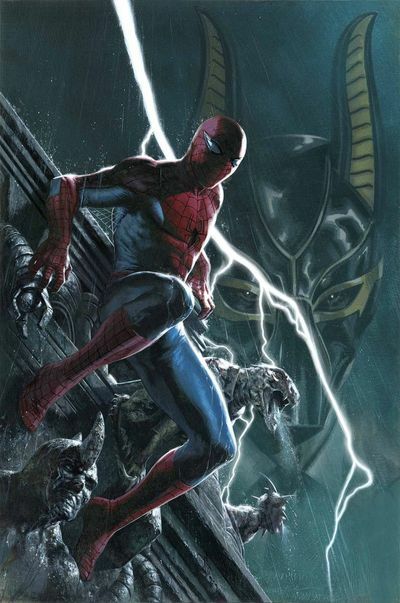 What do you think of the idea of clones returning to the pages of Amazing Spider-Man? Let us know below! This week for New Comic Book Day, Batman and Two-Face take a road trip, we learn about a cult that crashed the stock market, Harrow County’s Emmy finds out she has more family than she knew of, and Dead No More starts to unravel. As always these were only a few of this week’s new releases that stood out from the crowd. Check out our other blog articles to see our thoughts on other books. Be sure to comment or share our post on Facebook or Twitter if you like our articles! 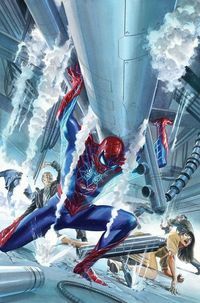 As Dead No More gears up, Amazing Spider-Man #16 lays the groundwork for what could be a pivotal moment in the Parker story. Jameson Sr. lays in a hospital bed with a genetic unknown disease. A scientist from NEW U tells the Parker and Jameson family that there is a new procedure that could work. Jay Jr. is hesitant but Peter wants to try. 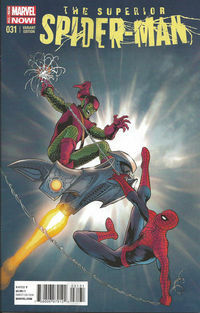 As Peter goes over NEW U’s research, an explosion pulls Spider-Man to a Parker Industries Plant. Spider-Man saves the day, or so it seems. Dan Slott has been doing an excellent job in his Amazing Spider-Man run – along with Giuseppe Camuncoli, Cam Smith, and Marte Gracia this issue has a John Romita Sr. style that is very welcoming. As the first issue to captivate us for Dead No More, Amazing Spider-man #16 is a great start! 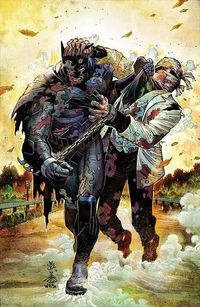 In this tale, which I like to consider “Gotham by Midnight (Run),” Batman is taking Two-Face on a road trip in an effort to permanently remove the fractured personality of Harvey Dent. Two-Face, on the acid-scarred hand, has other plans. Which he sets into motion offering to release all the blackmail material gained on everyone in Gotham over the years. Some surprises reveal that this dirt the Deacon of Duality has runs deep and no one is safe. The coloring by Dean White in this issue really adds texture and depth to the art, and Snyder’s pacing is as methodical as always. The backup story in this issue is even more compelling to me though. Having Duke (from the excellent We Are Robin) stepping into his new role training with Batman for what appears to be more of an ally than a sidekick role this time around. They set the boundary that he is not going to be Robin, but something else entirely. While also laying out the various training styles and how they resonated differently with each of Batman’s former sidekicks with color coding. Very interesting stuff that enriches the iconic Batman mythology even further. What if I told you that you could be rich but, you’ll pay in blood. 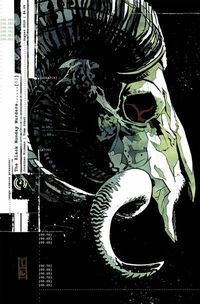 Money, Power, and Magic – it’s all one in the same in The Black Monday Murders. As a first issue, this really pulls you in giving you a lot of backstory and insight to this world. There are internet forum posts, history book pages, and company/family tree’s added into this oversized issue. It gives just enough information to keep you intrigued. I always love Tomm Coker’s art and this series is no exception. Tomm draws out panels and frames them like a cinematographer. It’s amazing. 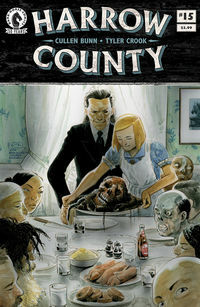 One of the best horror comics being published today – Cullen Bunn and Tyler Crook’s Harrow County – continues to weave this terror of magic, resurrection, and fate. In issue #15, Emmy is given a deeper look at her “family.” Given a choice that will not only affect her but her home as well. Crook does it again with his beautiful watercolor pages. Even if you don’t care for horror, his landscapes of Harrow County are just gorgeous to look at. Cullen Bunn also has this magnificent way of crafting his story to get you to come back month after month. Everyone’s favorite earnest WWII superhero Steve Rogers (aka Captain America) is coming back to comics and what better opportunity to highlight that than with New Comic Book Day? Marvel’s released a terrific issue that’s focused front and center on Rogers, starting with him attending a Senate Intelligence hearing about the renewed threat of Hydra to peace loving Americans around the world. Commander Sharon Carter of SHIELD is in the hot seat, defending the agency for its failure to prevent a Hydra attack in Brussels the previous week. 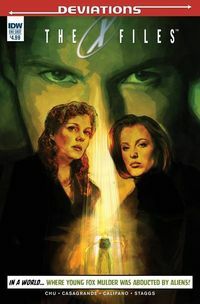 In a sophisticated story turn, SHIELD did stop the Hydra terrorists from blowing up the Chrysler building in New York City, but that wasn’t the only thing the nefarious Hydra was planning. Lack of perfection, fallout from their battles to defend innocent people, it’s very much the story that propels the splendid new Captain America: Civil War movie, and that’s no accident, of course! 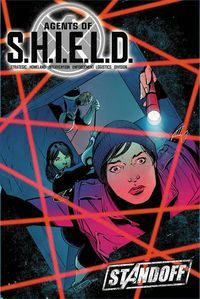 Falcon and Eagle show up as part of the SHIELD team, with a great sequence where they try to stop a renegade Hydra driver, and finally there’s a surprise appearance at the Intelligence hearing too, as most of the action in the story is told in flashbacks, a very cinematic technique that helps propel this story along at a brisk pace. 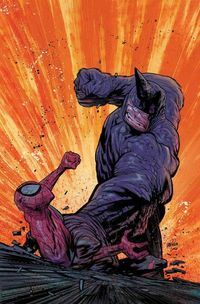 The second half of the book is a Spider-Man story called Dead No More, which resurrects Oksana and The Rhino as part of a shadowy plot by, well, someone who doesn’t have our best interests at heart, nor those of business owner Peter Parker. It’s a fun second story to this free issue and together they’re a great pair, well worth picking up! Oh, and I’m definitely #TeamCap when it comes to the movie too. Steve Rogers, Captain America: Written by Nick Spencer, art by Jesus Saiz, and The Amazing Spider-Man: Written by Dan Slott, art by Javier Garron.